Biological treatment of wastewaters depends on microbial processes, usually carried out by mixed microbial communities. Environmental and operational factors can affect microorganisms and/or impact microbial community function, and this has repercussion in bioreactor performance. Novel high-throughput molecular methods (metagenomics, metatranscriptomics, metaproteomics, metabolomics) are providing detailed knowledge on the microorganisms governing wastewater treatment systems and on their metabolic capabilities. The genomes of uncultured microbes with key roles in wastewater treatment plants (WWTP), such as the polyphosphate-accumulating microorganism “Candidatus Accumulibacter phosphatis”, the nitrite oxidizer “Candidatus Nitrospira defluvii” or the anammox bacterium “Candidatus Kuenenia stuttgartiensis” are now available through metagenomic studies. Metagenomics allows to genetically characterize full-scale WWTP and provides information on the lifestyles and physiology of key microorganisms for wastewater treatment. Integrating metagenomic data of microorganisms with metatranscriptomic, metaproteomic and metabolomic information provides a better understanding of the microbial responses to perturbations or environmental variations. Data integration may allow the creation of predictive behavior models of wastewater ecosystems, which could help in an improved exploitation of microbial processes. 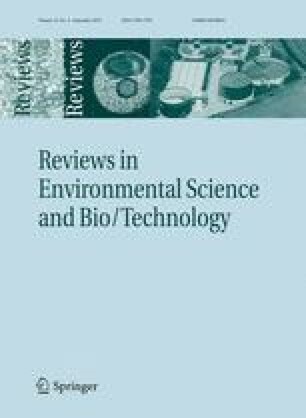 This review discusses the impact of meta-omic approaches on the understanding of wastewater treatment processes, and the implications of these methods for the optimization and design of wastewater treatment bioreactors. The online version of this article (doi: 10.1007/s11157-015-9370-x) contains supplementary material, which is available to authorized users. This research was supported by the Spanish Ministry of Education and Science (Contract Project CTQ2007-64324 and CONSOLIDER-CSD 2007-00055) and the Regional Government of Castilla y Leon (Ref. VA038A07). Research of AJMS is supported by the European Research Council (Grant 323009).